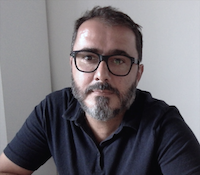 Pedro Gonçalves is Terradue director, a company started in 2006 as a spinoff of the European Space Agency following his postdoctoral work designing the Grid infrastructure in ESRIN, the ESA G-POD (Grid Processing on Demand for Earth Observation). With the participation in several European Commission and European Space Agency projects, Terradue is supporting international organizations, research institutes and commercial companies in deploying their Earth Observation services into Cloud platforms tapping new computational and data resources. Pedro is also editor of Open Geospatial Consortium (OGC) specifications promoting the interoperability of Earth Observation discovery and processing services. He just co-charted a new Domain Working Group focusing Earth Observation Exploitation Platforms that will bring together EO data, service and technology providers in an open forum for the discussion and presentation of interoperability requirements, use cases and pilots.